It's Sunday morning and your toilet breaks. You rush to the internet and search for someone to fix it fast. Your first criteria: who is available? After the plumber comes to your house, you determine if he showed up on time, if he was friendly, and did he do the job without making a mess or going over the promised price. So your second criteria: was the professional affable? Did you like him, or her, and would you use him again. Throughout this process, you probably assumed everyone you called could actually fix the toilet, so your final, and surprisingly least important, criterion is ability. Does this same analogy work for white collar professional services? I say yes. Think about the last time you had to choose or be chosen by someone to do a professional job. How often did the words “responsiveness,” “chemistry,” or “fit” come up in the dialogue? Yet, if you dissected a one-hour presentation, most people spend time talking about what they do, not how they do it. I believe this is because of the mistaken perception that showcasing ability is the right way to help people make decisions. My premise is that decision makers have already narrowed down the field by ability before you even enter the room and what they are looking to do is determine if they like how you work and think. In PR, if a prospect needed an investor relations firm, they would search until they found several that had the right skills. They might do an RFP asking for credentials. If they based decisions primarily on ability, then the credentials should be enough information for a choice to be made. But how many prospects hire a firm without a meeting? None that I've ever worked with. That's because it's not just ability that makes for a successful consulting relationship. Prospects need to see if the firm lives as good as it reads. They want to kick the tires of the actual people they will be working with to see if they like them. Yes, simply do they like them? Do they admire not only the work they've done but how they've done it? Can they see this person or people fitting in at internal meetings or speaking to their CEO? Do they show creativity or strategic thinking? How will the hiring of this firm reflect on them within their organization? It may sound somewhat superficial, but look at the reasons most firms are fired -- the client didn't think the firm was responsive; they didn't mesh with the internal team or other partners; and they didn't generate expected results. Again, client satisfaction is based on your client service (Availability), the experience of working with you (Affability), and delivering on what you promised (Ability). So the next time you need to hire a professional, or your toilet breaks, remember the three As. 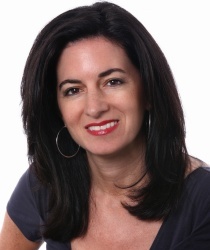 Christine Barney is the CEO of rbb Public Relations, a marketing public relations firm. She can be reached at christine.barney@rbbpr.com.